Buoyed by all the noise around Sprint's merger with T-Mobile, one could easily lose sight of the big picture, namely that the big two carriers still hold the lion's share of US subscribers, and even if T-Mobile ties the knot with Sprint, the combined carrier will still be way smaller than AT&T. If you want to know how did the big four mobile carriers do in the last quarter, look no further than the research firm Strategy Analytics' report that ranks Verizon, AT&T, T-Mobile and Sprint by subscribers, net adds (including the valuable postpaid segment), and the average monthly churn rate that crudely shows how satisfied the users are with the respective carrier. That same churn rate is slightly up for the big two - Verizon and AT&T - but still way lower than at Sprint or T-Mobile. For Big Magenta, however the churn rate dropped slightly, and it had the biggest increase in the valuable postpaid adds of all four major carriers. This can't be said about Sprint, whose churn rate is also very high, yet it lost subs, showcasing very clearly that once Sprint's promos start expiring, customer loyalty started to taper off. T-Mobile used to be in a price war with them all, but now it's gotten its prices on par with its Verizon nemesis, yet it remains everyone's popular underdog of a carrier. We recently compared the new unlimited plans of the big four, and there is indeed very little difference in pricing now, save for Sprint, which, however, has some catching up to do when it comes to coverage outside of large cities. As you can see from these latest Q1 stats, even when combined, Sprint and T-Mobile will be trailing the second AT&T at quite the margin, but hopefully, if the merger goes through, it will mean a litany of deals and discounted plans so that the new T-Mobile can carve extra market share for itself with the savings of scale it can achieve after the deal. 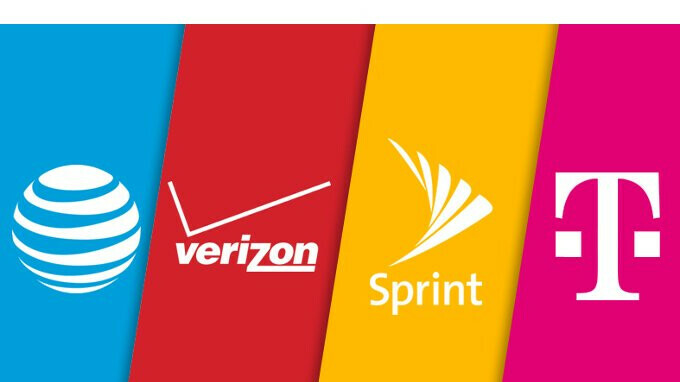 Even though I think a T-Mobile/Sprint merger would raise prices in the long wrong I feel it's the only viable option for the U.S. mobile landscape. AT&T and Verizon are just too large for T-Mobile to compete with. As much as they have disrupted the pricing once 5G begins it will be like the beginning of 4G. Verizon and AT&T dominated for 2-3 years until T-Mobile was eventually able to catch up but T-Mobile had a lot of "free" money to use when the merger with AT&T fell through. With wireless being about a lot more than communication, it's simply not viable to have 4 carriers on a nationwide basis. 3 strong, healthy competitors will be better for everyone. Will pricing be higher? Probably. Will reliability be better? Definitely. If the game is 5G or don't play, your analysis holds. But even 3G with a good signal is good enough for a large percentage of applications (what really requires better aside from 720p or 1080p video? ), and even 4G/LTE is good enough for 720p video. Should the merger fail, Sprint has a long road back to relevance. The 5G buildout will be slow, but their 4G network is very viable. If they focus on launching 5G where their 4G is weak and focus their offerings on value and corporate, then there should be a viable niche to work with--essentially the one T-Mobile just leveraged to leapfrog them. What Sprint can't and shouldn't do is continue to try to beat Verizon and AT&T at their own game--they have too much of a head-start in infrastructure. Cover the nation at 8-10 MBps reliably and they can live with lower peak speeds.